KYOTO — March 6, 2006 — Sophia Cradle Incorporated (Headquarter: Kyoto; CEO: Kazunori Sugiyama), an innovative developer of mobile phone software, today announced to release a cutting-edge profiler named MIHAI3. It is a development tool that automatically measures execution speed and used memory in a BREW [*1] program module, which helps developers tune application performance and memory usage. Sophia Cradle will demonstrate the profiler at the 5th International Keitai Forum on March 15 and 16 in Kyoto. As mobile phone hardware evolve to be equipped with terrestrial digital television broadcasting, also known as one-segment broadcasting, as well as a music player and a credit card function, the content of mobile phone applications increases in size and complexity. Today's application developers are required to make applications as efficient as possible in terms of performance and memory usage because there is a hardware constraint on a mobile phone's central processing unit (CPU) and its memory. 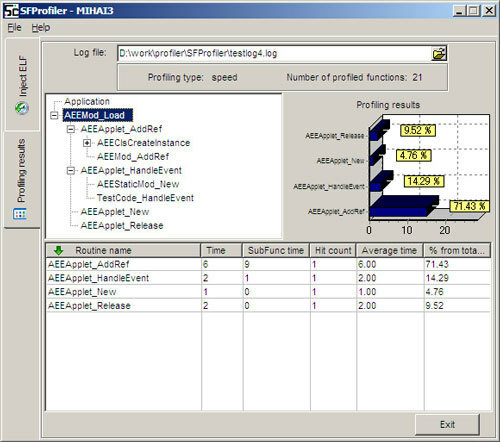 MIHAI3 is a tool that helps BREW developers optimize BREW applications by automatically measuring execution speed and used memory for a specified module that is written in C or C++ language, and by showing the results in a graphical user interface. Using MIHAI3, developers can easily detect problems like execution bottlenecks, optimize memory intensive usage areas and code areas that are uncovered during execution. Sophia Cradle will demonstrate MIHAI3 at the 5th International Keitai Forum that will be held at Kyoto Pulse Plaza on March 15 and 16. Starting from April 2006, MIHAI3 will be provided for free to those customers who have purchased SophiaFramework [*2], a BREW application development environment in C++, developed by Sophia Cradle. Object-oriented development environment for BREW applications released by Sophia Cradle Incorporated in August 2002. 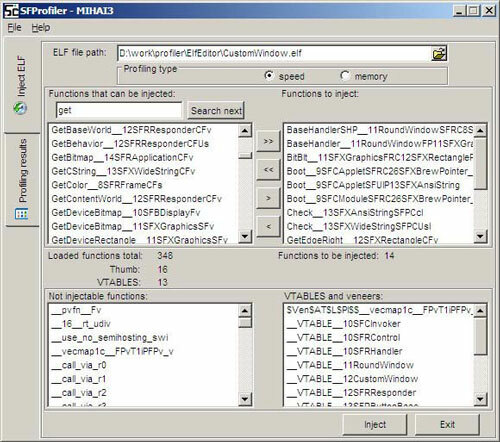 It includes various program modules called classes that are needed to develop any kind of BREW applications, such as user interface, communication, graphic drawing and string processing. The technology of SophiaFramework is now being used in many of the business BREW applications and official KDDI applications that are top-sellers in Japan.